Silvia Alderman has over 30 years of experience representing regulated interests (developers, agricultural interests, industrial entities, and governmental entities) in the practice of environmental and land use law. 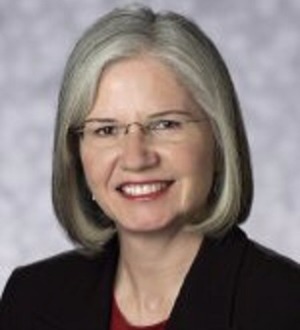 She has served as state-wide wetlands and threatened and endangered species counsel for a Fortune 10 company, and is known for her work with water resources and wastewater regulation. Silvia previously served as deputy general counsel of the Florida Department of Environmental Regulation (now DEP). Silvia has experience with a wide range of environmental and land use matters such as environmental permitting and enforcement negotiation and litigation, contract negotiation, land development, state land leasing and easements, and growth management. She also has local government comprehensive planning experience, having served as counsel for the Tallahassee-Leon County Planning Commission for 14 years. Her land use experience also includes representing clients in connection with numerous developments of regional impact (DRIs) and with comprehensive plan amendment litigation. Board Certified by The Florida Bar in State and Federal Government and Administrative Practice, she has been recognized by Chambers USA and The Best Lawyers in America as a leading environmental lawyer in Florida. Real Estate Florida 2009, Recognized as "Woman of Influence"
Super Lawyers Magazine 2009, 2010, Listed in Florida as one of the "Top 50 Women Lawyers"